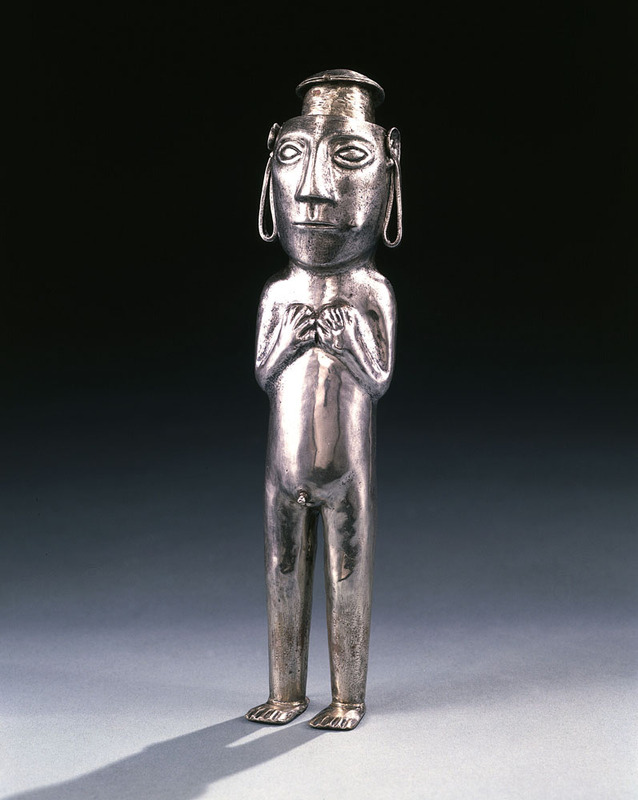 Brummer—who but Brummer?—has just got hold of a great treasure of Inca gold and silver objects.These objects were from the collection of Eduard Gaffron (1861–1931), a German doctor who had lived in Peru for twenty years. 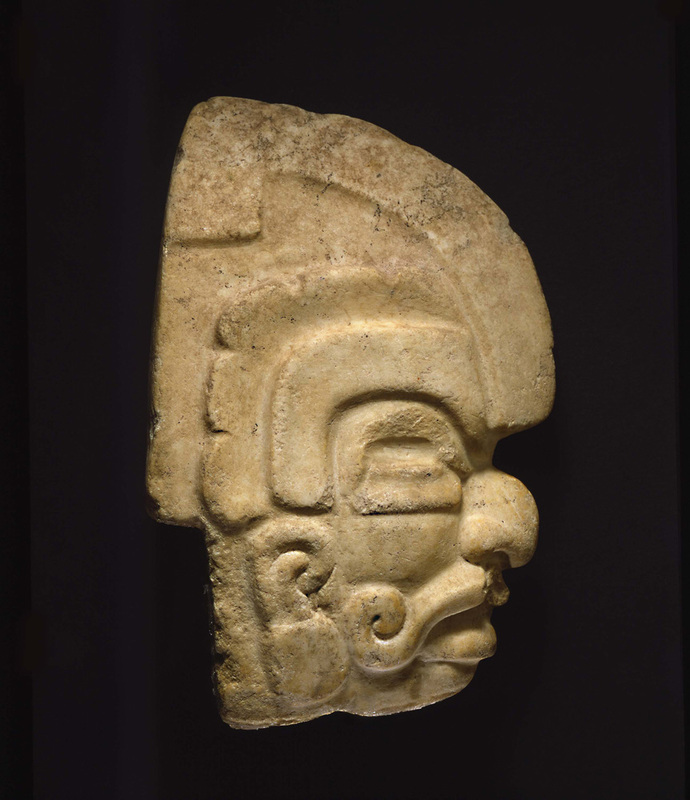 See Julie Jones, “Mildred and Robert Woods Bliss and the Pre-Columbian Collection at Dumbarton Oaks,” in A Home of the Humanities: The Collecting and Patronage of Mildred and Robert Woods Bliss, ed. James Carder (Washington, D.C.: Dumbarton Oaks Research Library and Collection, 2010), 55–56. 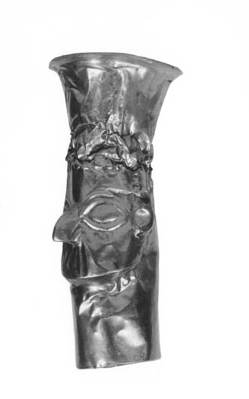 For Gaffron’s collection, see Claudia Schmitz, Geschenke der Ahnen: peruanische Kostbarkeiten aus de Sammlung Eduard Gaffron: Konstruktion und Wirklichkeit einer Kultur (Leipzig: Museum für Völkerkunde zu Leipzig: Grassimuseum, 2001). Among the pieces that the Blisses acquired are Ex.Coll.PC.B.467, PC.B.444, PC.B.445, PC.B.469, PC.B.474, PC.B.475, PC.B.479, PC.B.480, PC.B.482, and PC.B.483. 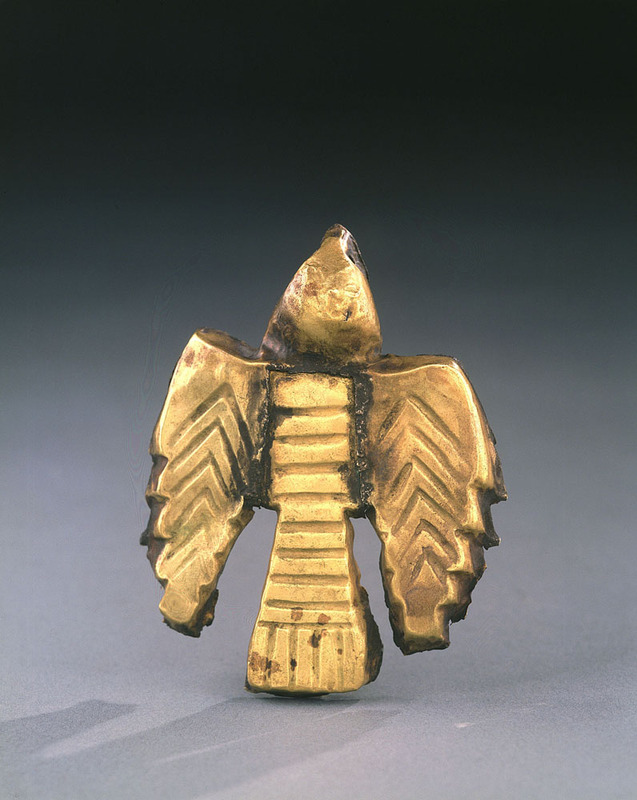 There are gold cups, mummy-masks, silver statuettes, a great gold necklace, a marvelous hand in ivory, gold beasts, birds and fishes—lots of birds for a bird fancier—, a great gold necklace, part of a silver necklace, sacrificial knives. All from tombs of the Incas. These things have been collected over a period of 20 years by a German savant and there is no shadow of doubt as to their authenticity. They are of a grand, sombre beauty that defies description, and of the outmost rarity—the British Museum itself cannot parallel them. Their cumulative effect—the colour of the gold—is uprooting. I hate advising anyone to buy without seeing, God knows, but I think it would be an ill turn not to advise you to buy now. Brummer has already sold ten pieces, not included in those above enumerated, to Stoclet. I have seen them and they are of secondary importance—except for one gold mask, not of the first water, even that—and neither Stoclet nor anyone else has seen the rest. Brummer absolutely refuses to divide this lot, but I have got him to promise to show to nobody for 10 days, by which time I hope I shall have your answer by cable. There are five pieces which I have set aside, and which with your leave I am very anxious to buy. 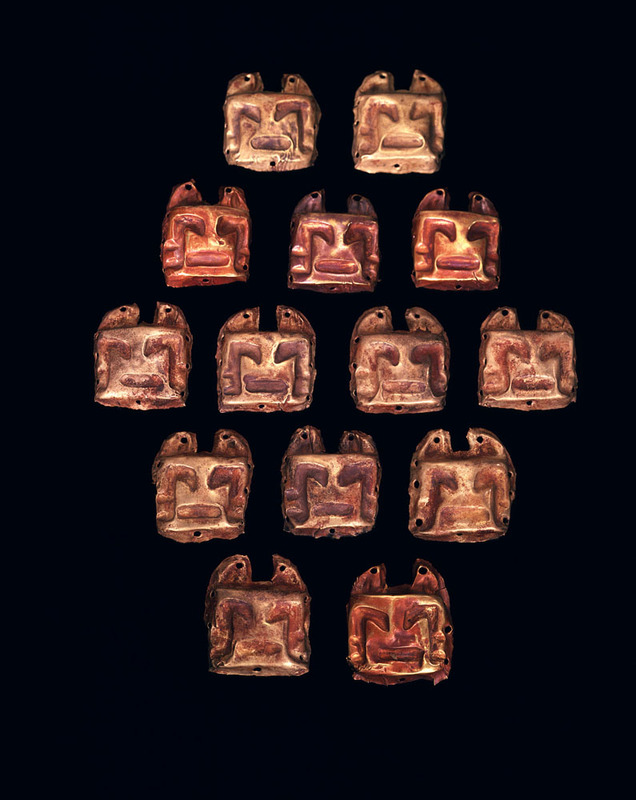 Three of them are exact duplicates of pieces you would have, the fourth is a silver mask of which you would have nearly a duplicate, and the fifth is a gold cup without any ornamentation, whereas you would have several ornamented ones of various sizes. 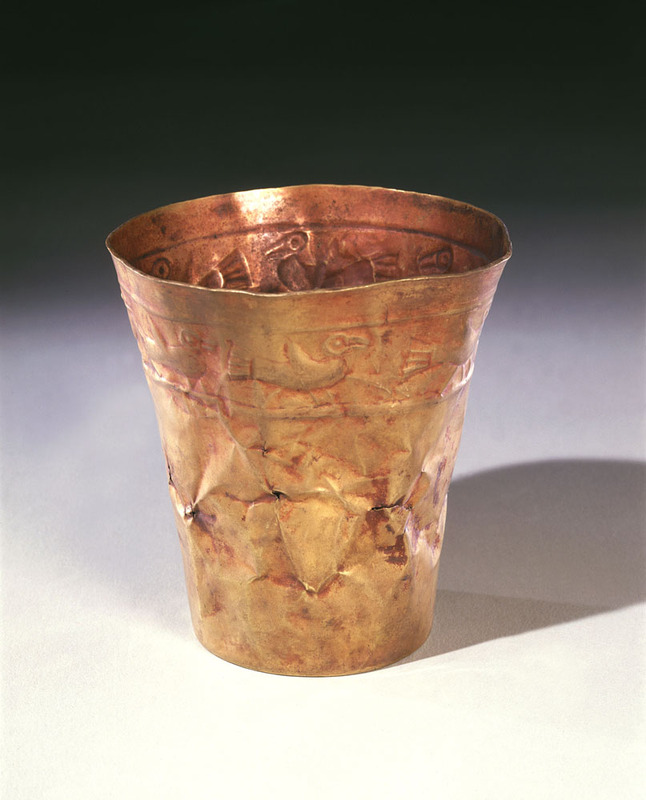 There are some 25 important pieces of different sizes—the largest is your large gold goblet 6 inches high—and 25 smaller less important; pins, small jewelry etc. Brummer wants 26,000 or 28,000 francs28,000 francs equaled approximately $4,875.00 in 1913 dollars and approximately $103,545.00 in 2009 dollars.—he can’t yet make up his mind which, and I would get him to make out a valuation of each piece in proportion to the cost price so as to fix exactly my share, which would be deducted from the 26,000 or 28,000 francs. This is certainly a unique and wonderful opportunity for us both, and the price is very reasonable. Only the other day I saw at Claude Anet’s a Caucasian plaque for which he wants 8,500 francs and which Brummer offered us just a year ago for 1,200 francs. Of the objects in this lot of Inca things, your large gold cup alone might easily bring 20,000 francs in Claude Anet’s shop. I don’t know where you are, but please cable me at once “yes” or “no” on receipt of this.See letter of December 26, 1913. I had trouble enough to get Brummer to agree to wait even ten days, because as usual he is looking for a small profit and quick return. So please wire at once. If the ten days go past without my hearing from you, I will do my level best to hold Brummer back; but I hope they won’t. Elisina sends you her love, and she wrote to Mildred 3 days ago.See letter of December 1, 1913. Please give Mildred my love; we both want you to come back very soon. I have just telephoned to Miss Amboul,May Amboul, later May Herbert, Mildred Barnes Bliss’s Parisian social secretary. who says you may have sailed already!